If there is anyone left out there who is still interested in this blog, I thank you for your patience during my long lapse of silence over the past few months! I have been back in the States for almost 5 months now, but my Kenya story is not finished. Maybe it never will be finished. I hope not. But however many volumes that may be left to write, I do know for sure that I cannot leave my blog dangling with “This Old Guitar” as the last chapter! There is still a lot to say and I plan to be blogging more again in 2012, but for this installment, I’ll just try to sum up my last days in Kenya, starting with our last trip to Barwessa, in the Kerio Valley. 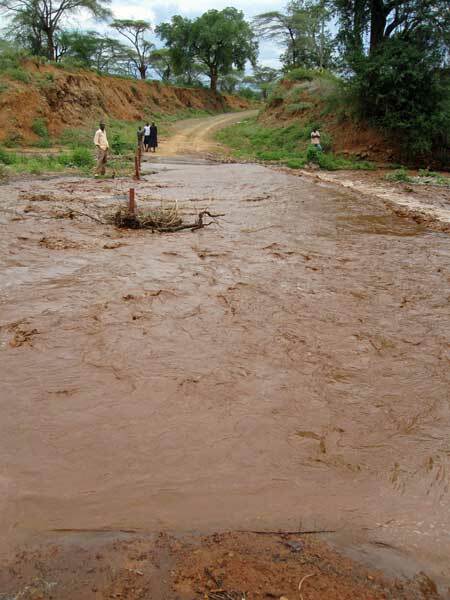 …And the dirt road leading out of Barwessa was flash-flooded in four places. The floods were the result of an answered prayer, so it was hard to be discouraged or fearful in the face of the roaring red-brown waters, even while swim-driving through the floods in a little white car with water flowing around the doors. Once you make it through the first crossing, it gets easier to do it again…and again. I’m no stranger to desert rains and flash floods—-it is a way of life in Arizona during monsoon season. I’ve crossed and romped in flooded roads (or trails) all over the southwest–from the bottom of the Grand Canyon to Baja California. 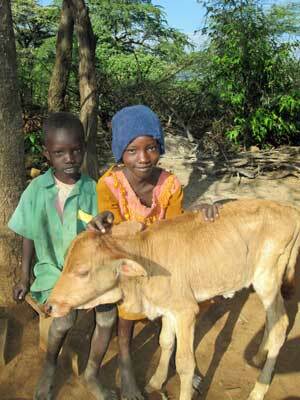 Doing the same thing in Africa was only one more reason why it felt like “home” to me. I guess I am getting ahead of myself. By these floods, I am referring to our drive OUT of the Valley on the evening of Sunday, August 7th, after our descent into it just a few days earlier. The May-July trimester had just ended at EERC and I would be flying out of Nairobi on August 11th. Before I left, we gathered together a few teachers and students from the school for one last hurrah in the desert, before I returned to the land of pavement, shopping malls and Starbucks. 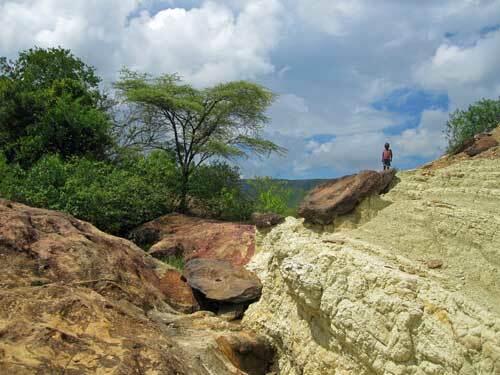 I had been longing to go back to Barwessa ever since I had spent a week there in June. I couldn’t bear the thought of returning to the States without returning for one last visit. I had promised local ministers Songol and Jesina that I would do my best to come back, and I had dreamed of bringing a team from the school with me. I couldn’t have been more delighted that things worked out just as I had hoped and prayed. With me was one of my great Kenyan friends–Abraham Kiptoo Tarus–and two of his daughters; 11 year old Upendo Love Joy and 13 year old Faith. 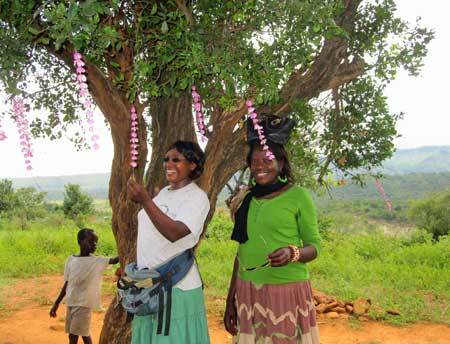 Another student joining us was Happy Daisy, aged 14, and her mother Eunice; one of the teachers at the school. There was another matatu (van) driven by a brother whose name slips my mind, carrying several other teachers: Carol, Joan, and Ruth. All together, there were 10 of us from Eldoret. When we finally arrived in the Valley, the first things we heard about was the need for rain. The rainy season seemed to have dried up early. Every afternoon, a few clouds would pile up, but–apart from a few occasional drops that mostly evaporated before they hit the ground–the stubborn clouds were refusing to release their rain. The whole region is absolutely dependent upon the rain for survival. 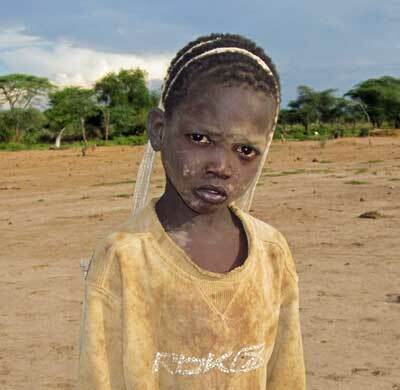 If rain does not fall, the crops would do grow and if the crops do not grow, there is no food to eat unless an NGO or charity organization brings some. The Valley had been through drought before. Everyone knew someone who had died of hunger. In fact, that very month–August–the eyes of the world were turned to northeast Kenya, near the Somali border, where people were starving. There was a drought there too, in the whole region surrounding the Daageb refugee camp. One of the first things that Songol said to me, was “Now that you are here, I believe God will answer our prayers and send rain.” I am glad that God handles the pressure for things like that! Inwardly, I lifted my eyes to the Lord and said, “Lord, You heard him! Let Your power and love be seen here this weekend!” All summer, while praying for the Kerio Valley up in Eldoret, I had seen a frequent vision of the rain falling all over the Valley—both literal rain–and the washing, enlivening, freshening rain of the Holy Spirit. The first night, there were some light sprinkles. A few sporadic drops that did nothing more than bang lightly on the tin roof and leave faint pockmarks in the dust the next morning. During the weekend, we ministered at the children’s meeting hosted every Friday night by Songol. The highlight of the meeting (for me) was seeing our EERC girls minister in drama, and praying for a young girl named Anna who was rather mute. She had already experienced a miracle when Songol prayed for her a few months earlier. She had not been able to walk, but could only “hop like a frog,” as her parents told me. After prayer, she was instantly able to walk on her two feet and had done so ever since. However, she still had difficulty speaking. Her miracle was still in progress. As we prayed for her, Anna began to speak, saying her name, “amen,” “hallelujah” and similar phrases. We were greatly encouraged. I expect that the next time I see her, we will be able to have a normal conversation! 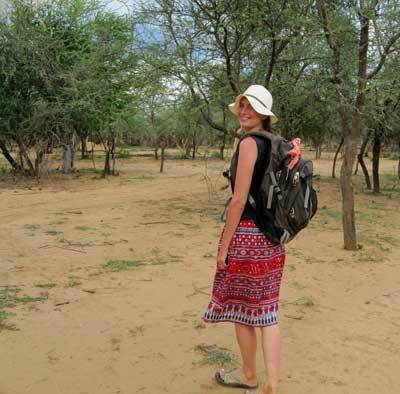 The next day, we hiked the 17 mile circuit out to Chebore and back–across the Valley floor through the white desert elephant country. Songol led the way, carrying his Bible in a plastic bag, as he always did–no canteen of water or food to snack on. 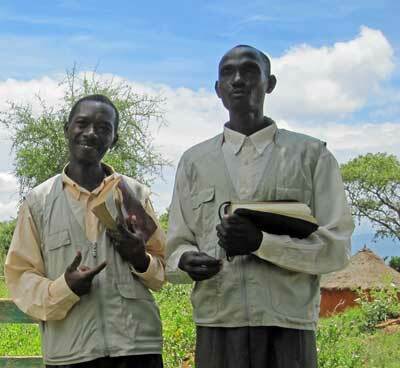 He and Jesina are co-pastors of three churches between them, stretched across a 40 mile radius–and they do it all on foot. 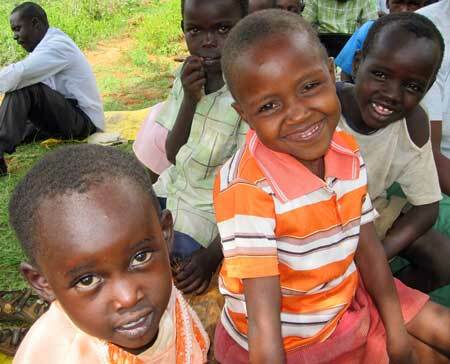 With a smile always on their faces, I might add…and with homes and farms and families to take care of as well. I was a bit worried about some of our team on the long hot hike. 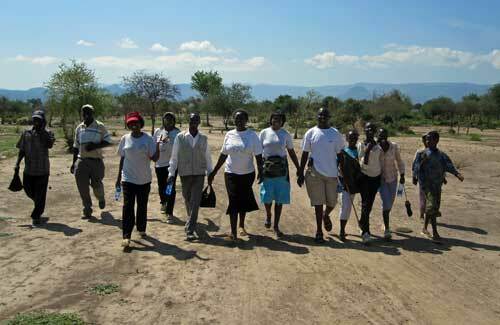 City-slickers from Eldoret, most of them were…and not used to hiking. 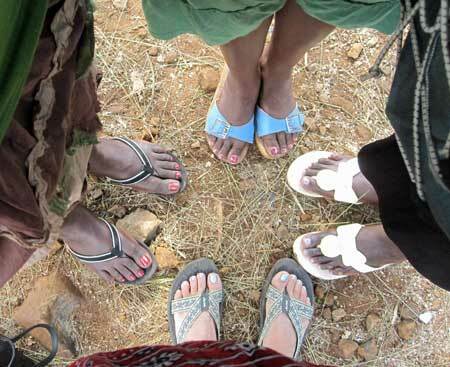 Some of them did not even bring proper shoes to wear and we had to stop at the general store in Barwessa and buy cheap rubber sandals for several of the ladies—an upgrade from their dressy sandals with heels. Nevertheless, they did great on the hike—better than I would have done in those uncomfortable plastic sandals. By the end of the trip several of us—including me–had swapped out our shoes and sandals, trying to help one another avoid blisters. I was so very proud of our group all weekend. Everyone, from the kids to the matatu driver participated in ministering; whether in drama, leading in singing, sharing testimony, preaching the word, or just loving on people and praying with them. 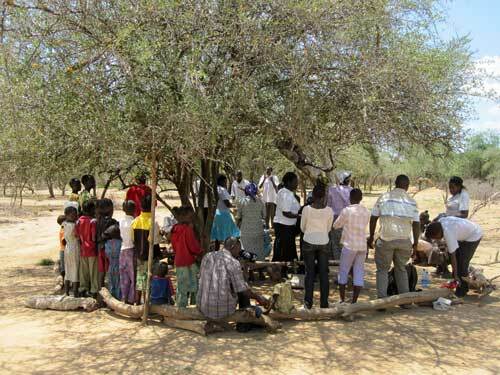 Our arrival was big news for the scattered desert dwellers, and many of them hiked from miles around to attend our various meetings–always held outside, under a shady tree. I was especially proud of Eunice, who shared her testimony with the entire group—her discovery of God’s love and purpose for her life. 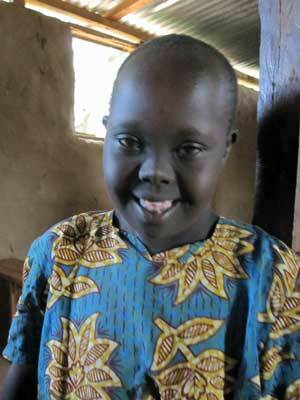 When Eunice was a baby, she crawled up to a pot of boiling water and tipped the whole thing over her head and body. She was terribly damaged and almost everyone advised her mother to let her die. But her mother had faith. She carted her baby down to the hospital in Nairobi and left her there. Eunice lived in the Hospital until she was 4 years old, undergoing constant skin grafts and treatments and rarely seeing anyone from her family. Against all odds, she survived. Half of Eunice’s face is scarred and she is blind in one eye–not to mention the rest of her body–but she learned to overcome self-pity and focus on the fact that she was still alive–surely her life had been spared for a reason. As Eunice shared her story, I could see many of the group listening intently. A story like Eunice’s, they could relate to. To her own surprise, Eunice was becoming a preacher! She’s also the best preschool teacher I have ever seen and a great interpreter and worship leader. Teacher Ruth had confessed to me right before our trip, that as a little girl, she had had an interest in becoming a missionary. This was her first experience of doing something like this. With her gentle spirit and kind heart, she won friends everywhere we went; singing with the kids and ministering in Kalengin. I was so proud of her and Joan and Carol as well. I had just spent the previous few weeks going through the Song of Solomon with the teachers, and it was beautiful to see them carry that message of love and intimacy to others. Out in the Chebore desert, I was thrilled to see the old grandma with the damaged leg that Wesley and I had met back in June. 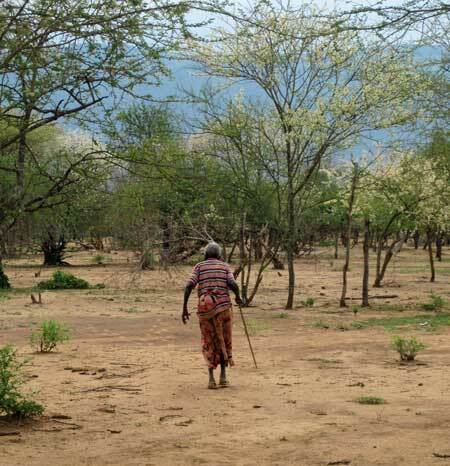 (The first time we saw her, she was dragging herself through the dirt between a shady tree where she spent the day and the small hut where she slept). She had since been to the hospital (courtesy of Wesley) and her leg was healing nicely–enough for her to slowly make the trek to the meeting with a walking stick. In the past few months, her life had been greatly improved. She had given her heart to Jesus and was full of gratitude and the joy of the Lord. I recognized many others as well, including many of the kids that I had met while ministering in the schools. People I didn’t know would greet me by name as they drove by on a piki piki. Children grabbed my hand and we sang songs as we walked together. By some deep muscle memory, my hiking legs kicked into gear–despite the fact that I am sadly out of shape. I was “built for this.” Everything in me knew it–and rejoiced. It felt like I had returned home. I was also able to check on the family with the little calf that had almost died on my last visit. They live right next to the guesthouse, and I was thrilled to find them eating breakfast outside. I am happy to report that Pbhhh Pbhhh was doing quite well, and so was the rest of the family. I am a lover of stones. Their ancient stories intrigue me and their colors and shapes never fail to catch my eye. 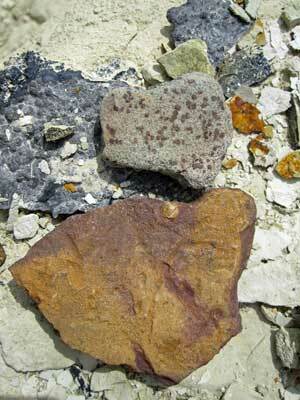 As silly as it may sound, one other reason that I had hoped to return to Barwessa had to do with rocks. 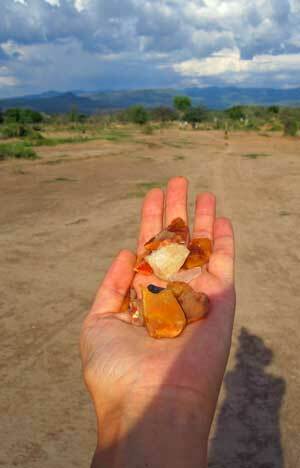 Just a few weeks after arriving in Kenya, I was cleaning out my backpack, when much to my surprise, I found a handful of stones–8 to be exact–hidden in a deep pocket. I had picked them up in the canyon in September, while home for my dad’s 60th birthday party– and I forgotten they were there. I had to laugh at the irony. It had taken me days of packing and unpacking my big suitcases, trying to make them both fit at just under 50 pounds. Many things I had sacrificed and left behind–children’s books, shampoo, extra shoes, t-shirts. But apparently these Grand Canyon stones were begging to be reunited with Mother Continent. I was just the pawn in the game; the unwitting human who carried them home. In the secret world of rocks, I was moved by a force bigger than myself…and I became an accidental stone-smuggler. After I made peace with the fact that the rocks had stolen a whole pound or two of precious weight, I was delighted. And when I first discovered the rocks of the Senebo desert–colors that reminded me of the Bright Angel Shale around my childhood home–I knew exactly what I was going to do with some of my stone stowaways I would give them a new home with their cousins. I would plant them like a seed; like a piece of my heart and history. The new world and the old world would kiss. Their new home in Africa would be a promise for all that has been scattered across this globe to be re-gathered and brought to One. Can you find the Canyon rocks? 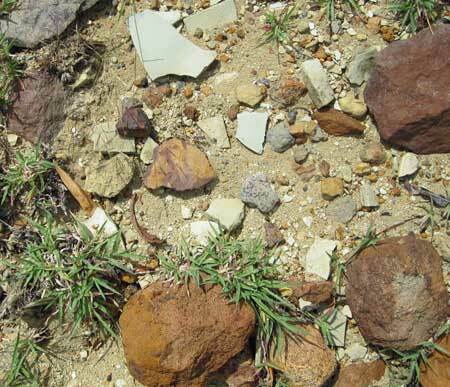 When I lovingly laid the stones in the desert, I thought of the North Rim snow melt, my childhood rock collections, all our hikes up and down the trail around our house…I thought of my dad, and how he always arranged the shale into beautiful patterns by the side of the trail. I hoped these rocks wouldn’t be lonely in their new home. I kissed them and blessed them and told them to be a blessing in the area. And then I took a few of the Senebo rocks to take home with me. Shhhh.….Not telling what I am going to do with them! 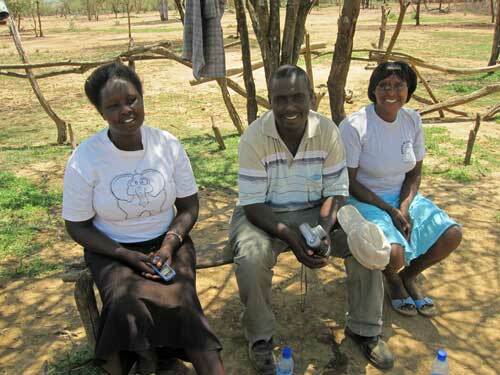 On our last morning, we had a meeting under a tree in Jesina’s yard. He lives on top of a little hill near Senebo, and he has a beautiful view of the valley and rolling hills. His daughters had threaded fuschia-pink flowers on long grasses, making beautiful decorative flower chains which they hung from the tree. Jesina had also crafted log benches–an upgrade from our last visit. It was a gorgeous place for church. It was Sunday, August 7th. I knew that a week from that day, I would be back in Richlands at Kingdom Life Fellowship. The thought was painful, exciting and overwhelming. 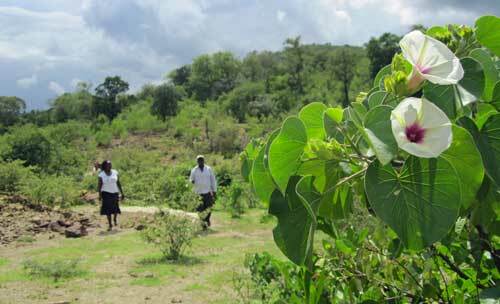 I had to constantly put it out of my head, so that I could simply enjoy the moment–the warm breeze causing the flower decorations to sway in the tree above me; the sound of Kalenjin and Swahili worship, and all the beautiful faces of people I had grown to love. While every service in the Valley had been special, this last one touched a higher place in worship than all the others. I love the way Africans worship. No designated worship leader or team. No hymnal or words projected on a screen. One person will spontaneously lead out in a song–and that person will carry the lead on the song the whole way through, leading in the call and response style worship, often making up the words as they go. Then someone else will launch out with a different song, and on it goes. Just about everyone has a great voice, so the main thing that matters in leading is that you have tapped into the “song of the moment” and you are genuinely worshipping. (There is sometimes a vast difference between a worship leader and a song leader, but that is for another writing). During our extended worship that morning, I was so touched by Jesina’s 14 year old daughter, who has a heart like a lion. In just a short time around her, it was obvious that she was powerfully set apart by God. 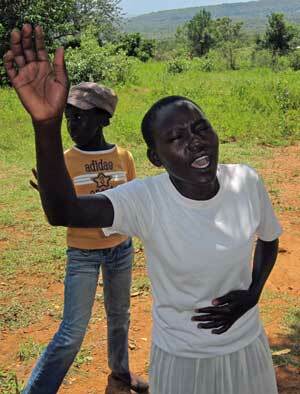 During my entire time in Africa, I had seen few people throw themselves into worship the way that this young lady did. Not only did she direct the children’s choir, but she also boldly joined our EERC girls in acting out the story of the Prodigal Daughter and was a key part of the service in every way. She exuded strength, confidence and wisdom. “Therefore, behold, I will allure her, Will bring her into the wilderness, and speak comfort to her. I will give her her vineyards from there, and the Valley of Achor as a door of hope; she shall sing there, as in the days of her youth, as in the day when she came up from the land of Egypt. “And it shall be, in that day,” Says the LORD, “That you will call Me ‘My Husband,’ And no longer call Me ‘My Master,’ For I will take from her mouth the names of the Baals, And they shall be remembered by their name no more. In that day I will make a covenant for them with the beasts of the field, with the birds of the air, and with the creeping things of the ground. Bow and sword of battle I will shatter from the earth, to make them lie down safely. Just reading that portion of scripture again now brings tears to my eyes as I think of the beautiful people of the Kerio Valley. I preached out of that chapter that morning, reminding the people that they were the beloved of the Lord, and of the power that He had put in their mouth…that as they “sowed to the heavens” in prayer, worship and prophetic declaration, they were literally changing the atmosphere. They were sending up vapor to rain back upon the earth. We began to pray and declare the open heavens and the rain (natural and spiritual) to fall. The kids worshiped and danced. The soft breezes blew. And the clouds gathered. And a few—just a few–raindrops began to fall. Would this be another false alarm? 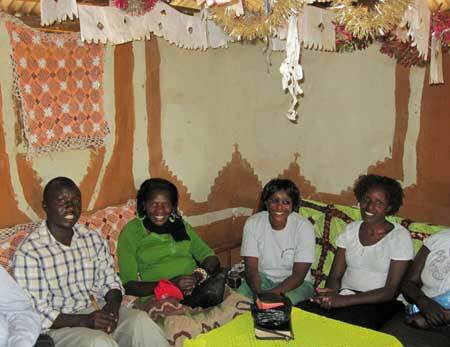 We ended the service and went into Jesina’s small house to eat a meal of stewed chicken and ugali. The clouds continued to pile and they were darker this time. We quickly decided that we needed to get back to the guesthouse, pack up, and head back to Eldoret before it got any later and darker. By the time we got back to Barwessa, a heavy rainstorm had preceded us. Sukuku met us at the guesthouse with an ear-to-ear grin. The ground was soaked, the air was fresh and the people were elated. Rain was falling all over the valley. As quickly as we could, we packed our gear into the vehicles and took off down the muddy road–which brings me back to the beginning of this story, and the four floods we had to drive through. I will never forget that drive home as we splashed and laughed our way out of the Valley, under skies as dark and swirling as smoke. If we were staying later, I would have danced in that rain, up and down the muddy roads, and confirming to the good citizens of Barwessa that this mzungu is indeed quite nuts! And in my heart, that is where I still am–dancing in the muddy streets. I am singing in every language I know and some I don’t know. I am singing in the tongues of angels. I am a dancer, “dancing upon injustice,” and crushing chains beneath my feet. I am sending rainclouds of out my mouth to blow where the Spirit wants them to go. I am twirling. I am laughing. I am roaring. And so are the children with me. We are for signs and wonders. We were built for this.